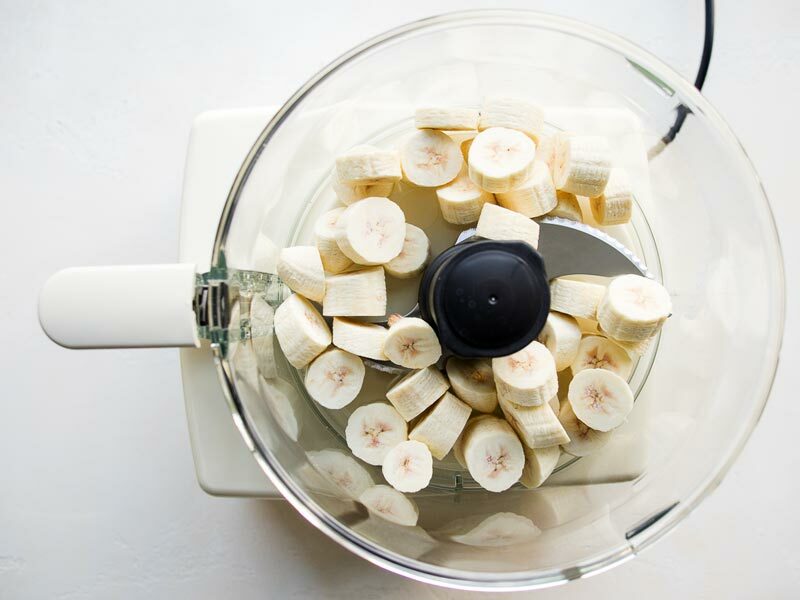 Make Easy Healthy Banana Ice Cream without an ice cream maker! Simply blitz frozen bananas in a food processor until you have a creamy healthy ice cream. There’s no need for an ice cream machine for this recipe. I know what you’re thinking. Healthy ice cream? Ice cream for breakfast? What is this lady talking about? Well, before I go any further, I should clarify that this isn’t an ice cream in the traditional sense since it’s not made from dairy or any similar substitutes. 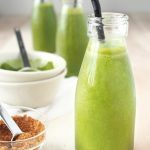 It’s literally just blitzed banana that turns incredibly creamy and wholesome. 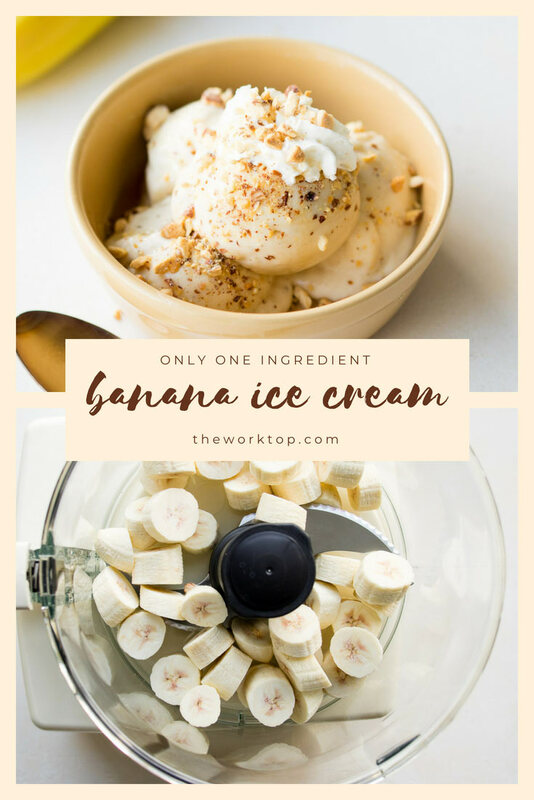 Although the recipe might be better described as simply frozen banana cream, it takes on a lot of properties of a homemade banana ice cream. 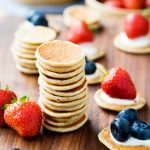 The texture is thick and creamy, obviously cold, and the most important part, delicious. 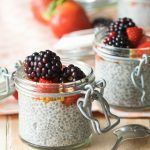 There’s really no reason not to enjoy this recipe as a healthy alternative for ice cream whether it’s for breakfast, a snack or after-dinner dessert. 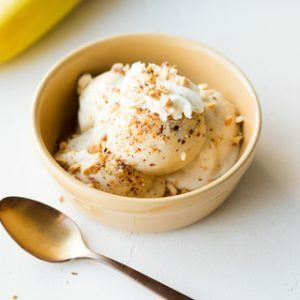 To make this “quick banana ice cream”, you simply need to blitz frozen bananas in a food processor. The banana chunks will first wildly fly around. But stay with it as they will soon calm down and the bananas will take on a powder consistency. Keep blitzing, only stopping to scrape down the sides as necessary. Then right before your eyes, the bananas will suddenly take on a creamy texture. 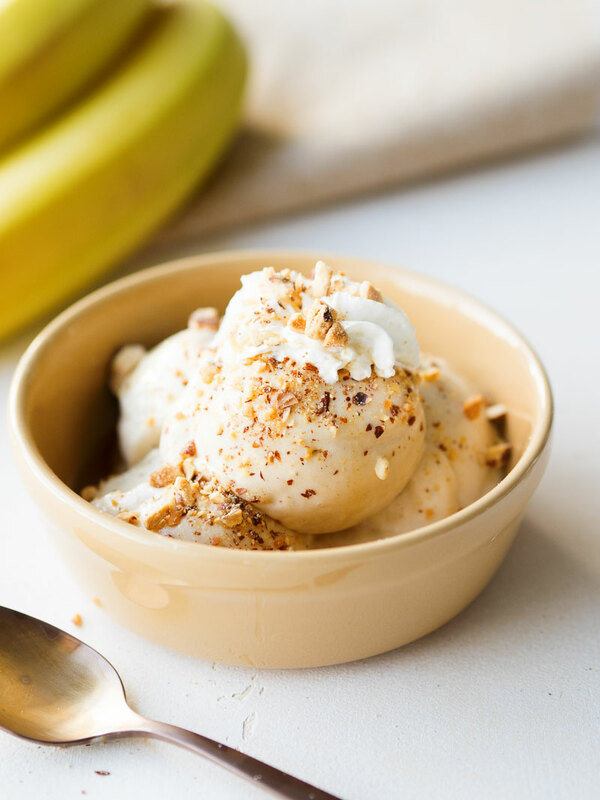 Serve this banana ice cream immediately after making for best results. 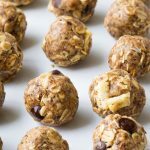 It loses its consistency if you freeze it, which makes it awfully hard to scoop later. 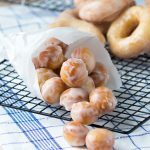 However, you can add a touch of alcohol or condensed milk to make it easier to scoop if you really need to pop it in the freezer after making it. 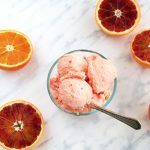 But since this homemade ice cream takes less than 5 minutes with the help of a food processor, I’d absolutely recommend serving it immediately after blitzing the bananas. 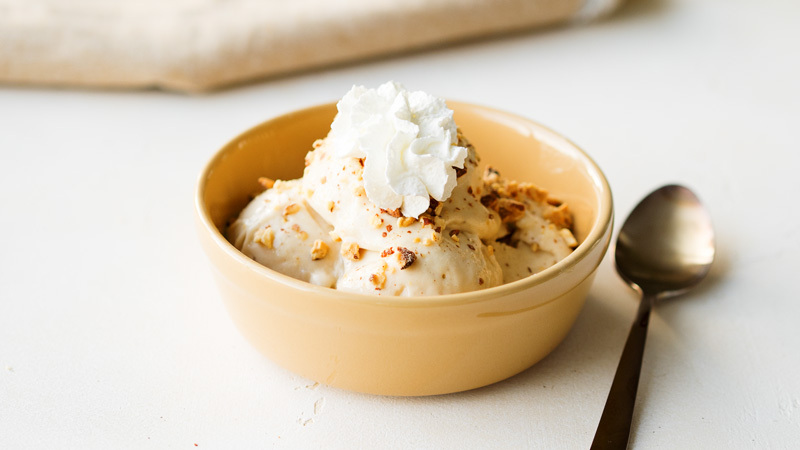 I topped this banana ice cream with almonds and a touch of whipped cream. 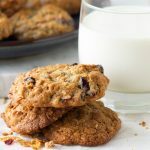 It’s also a real treat to add chopped strawberries on it, or a handful of mini chocolate chips. Sometimes, I like to think of it as a banana yogurt parfait and any toppings one would use for yogurt is applicable here: granola dust, berries, honey, etc. 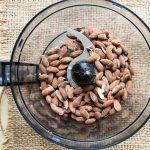 But since you have the food processor out already, you can easily chop up some almonds to use as a topping. 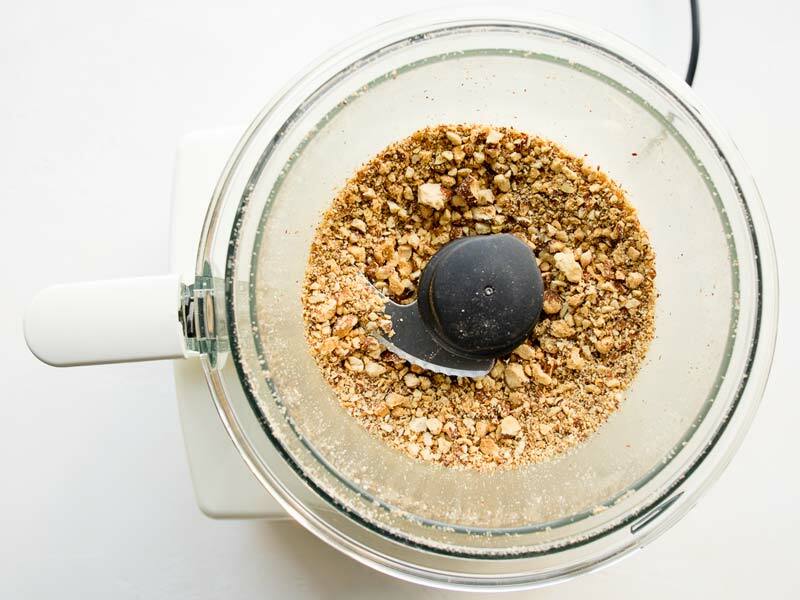 To save on washing up, chop the nuts first, then blitz the banana ice cream. 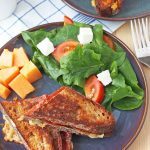 As you would expect, ripe bananas will be sweeter than non ripe bananas, but please don’t use a banana that’s overly ripe (save that for this banana bread! ), unless you want to risk getting a slight alcoholic taste to this otherwise pleasant and creamy ice cream. Everyone loves something tasty. 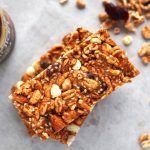 I’m happy to point out that for this recipe, this includes our raw vegan friends! 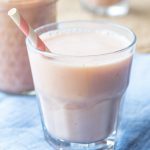 Since there is no actual cooking involved, this Easy Healthy Banana Ice Cream recipe is considered raw vegan ice cream. And don’t forget the little ones who love ice cream! 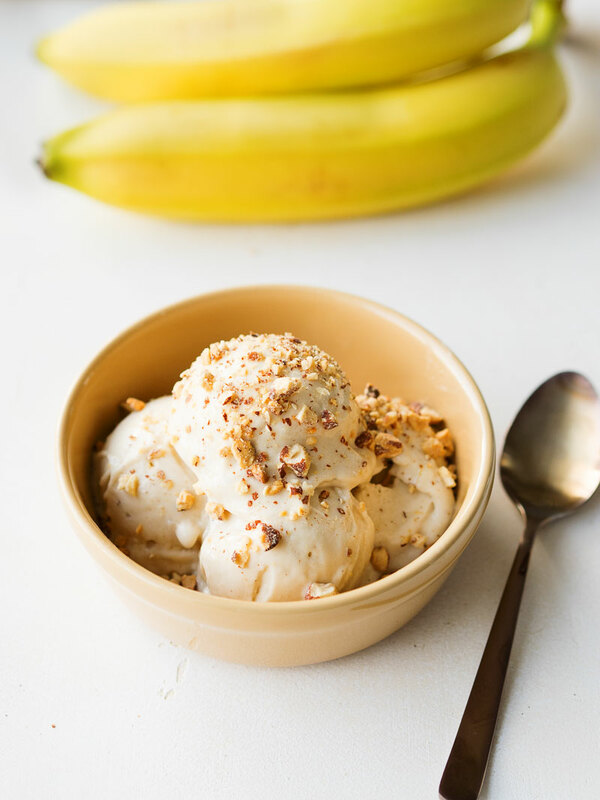 Whether it’s for yourself, your family, or your guests, make this Easy Healthy Banana Ice Cream for both weekday breakfasts and weekend brunches. I know it’ll be hard, but don’t eat it too fast or else you’ll all end up with a brain freeze. 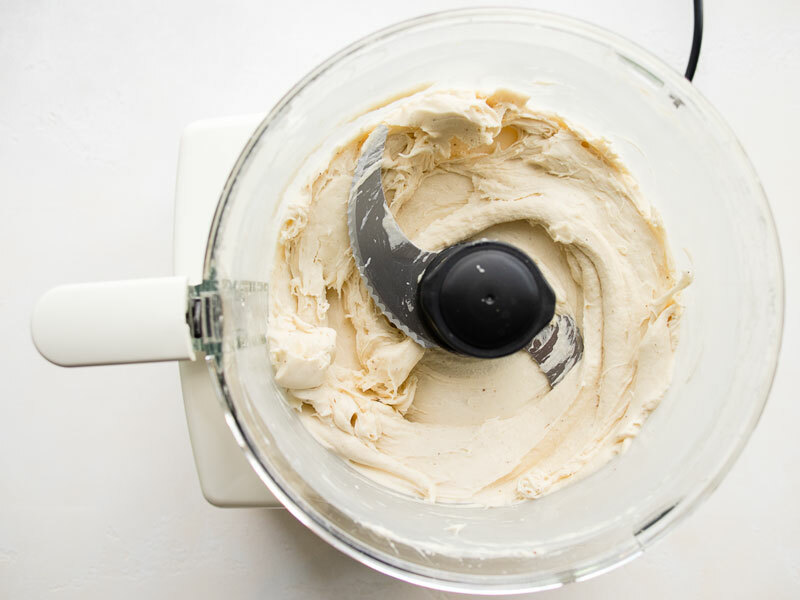 Make Easy Healthy Banana Ice Cream without an ice cream maker! Simply blitz frozen bananas in a food processor until you have a creamy healthy ice cream. There's no need for an ice cream machine for this recipe. 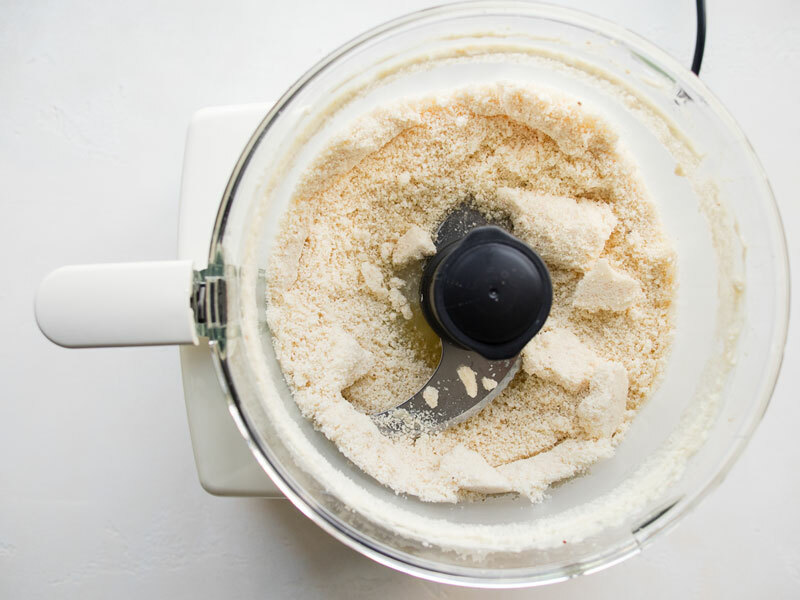 Place the bananas in a food processor. Blitz the bananas until they become creamy, stopping to scrape down the sides as necessary. 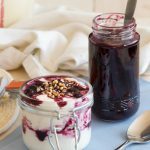 Serve immediately, topped with chopped nuts, fruits and whipped cream, as desired. 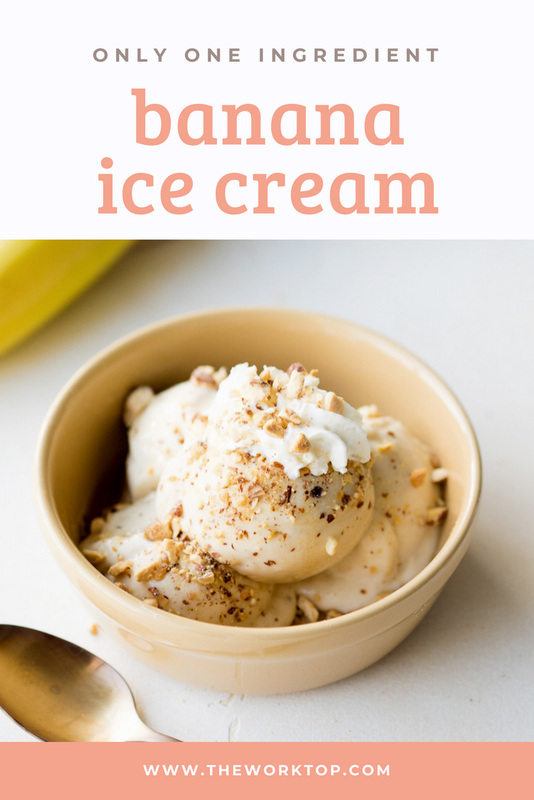 I keep a bag of frozen sliced bananas in the freezer, so we can make this Easy Healthy Banana Ice Cream anytime the craving hits - and that's often! My kids love banana ice cream. 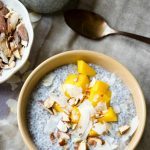 I love that it’s so healthy and easy to make!